After a long day at work, many of us dream of sinking back into the luxurious Egyptian cotton sheets that we’ve experienced on holiday. It’s easy enough to maintain a clean and cosy room when there’s a maid, laundry service and concierge at your beck and call. But how can you create a similar atmosphere in your home? You don’t need to be staying in secluded log cabins or luxury condos to feel truly extravagant. Whether it’s calming and tranquil, or flashy and glitzy, you can create whatever atmosphere you want in your own home. So let’s start with your bed. Like we said earlier, it’s soft sheets that cradle you and fluffy pillows that you sink into that give you a really good night’s sleep. Invest in a bed one size bigger than is really necessary. This way you’ll be able to spread out as much as you like. Even if you have a partner sleeping next to you. Then, invest in a well sprung mattress. This is incredibly important for posture. A bad mattress will leave you with a bad back and nobody wants to wake up aching and restless. Make sure you have two sets of bedding. One for summer and one for winter. Choose the right togs for you and make sure the duvet doesn’t overheat and suffocate you, but does keep you warm. Sheets are an equally important factor when it comes to getting your eight hours a night. Cotton is best, as it’s breathe easy. If you fancy going all out, try luxury Egyptian cotton bedspreads. Let’s move on to the bathroom. This is the room where you should feel most comfortable to relax. Lean back and enjoy a soothing bubble bath with tealight candles lit. But make sure that this tub is fit for a king or queen. An easy way to create a decadent atmosphere is to purchase a claw foot bath. This screams class and grandeur. If you want to go all out, invest in mood lighting. Little accessories also help. Think of bath pillows, cooling eye masks within reach and a squishy soft bath mat to step out onto once you’re finished. When it comes to privacy, most people opt for whatever set of blinds they first lay their hands on. After all, all you need to do is make sure the neighbours don’t play peeping Tom, right? Wrong. Curtains or blinds can change the whole appearance of a room. If you like to bathe in natural light, there are plenty of bespoke window options that will banish prying eyes. Frosted glass, for example. If you prefer to bathe in mellow, warm, candlelit tones, consider blackout shutters. 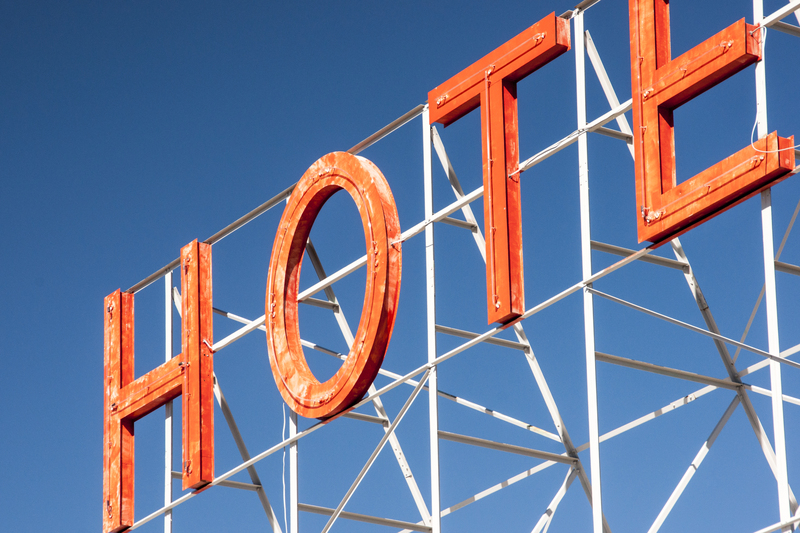 Have you ever noticed that a hotel is never cluttered? Granted, you don’t have all of your belongings there. But your home doesn’t need to be chaos either. Consider some apt storage solutions for your belongings. Do you have lots of shoes? Order a pretty shoe rack. Collect rare LPs? Display them on picture shelves or tuck them away in a record box. Whatever your need, there is a convenient way to store it. Needn’t worry about this because you’re actually going away to stay in a nice hotel for a while? Don’t forget to pack your travel embroidery kit. Follow our DIY tutorial here on how to make one.